I will never tire of telling you that Palermo is a city of infinite history, a city that has embraced the traditions of the different cultures that have lived there and has preserved them even in their more primitive forms. 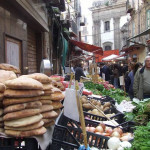 The historical markets in Palermo are the spots where buying and selling unite as one. Still today, in this age of multimedia acquisition, you can experience the same feelings and emotions from a time gone by and find food of almost every kind. Whoever visits these places for the first time will be delighted by the typically Arabic way of bargaining and offering of products. If you have a good ear and can understand some Sicilian you’ll be able to decipher the hilarious chants or particular “abbanniate” which are sung or yelled out as invitation to come buy certain merchandise. 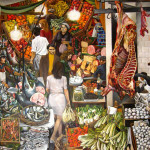 The most well known is without a doubt the “Vucciria Market.” The term “Vucciria” derives from the French “Buocherie,” or butchery, but over time it has taken on a completely different meaning due to the Palermo population. Now this market forms an example of masterly synthesis: the immense and harmonic sounds; the flamboyant and striking colours and the pleasant confusion which all together characterises its atmosphere. 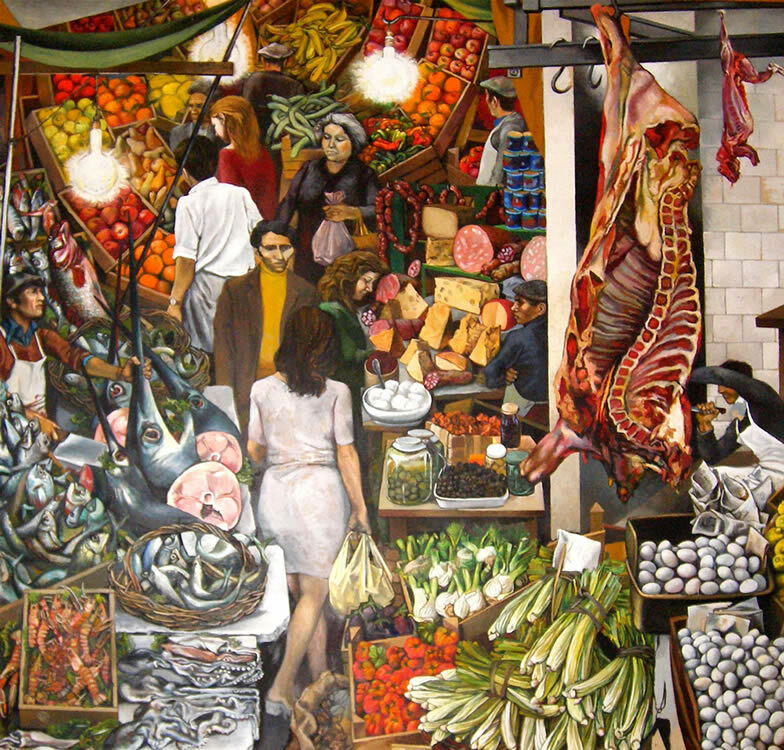 It’s no coincidence that this market was immortalised by the great Sicilian painter Renato Guttuso in the anonymous painting (la vucciria). The market is situated right in the centre, on the corner of Via Roma and Corso Vittorio Emanuele and it’s easy to get to both on foot (20 mins) or by bus number 122. 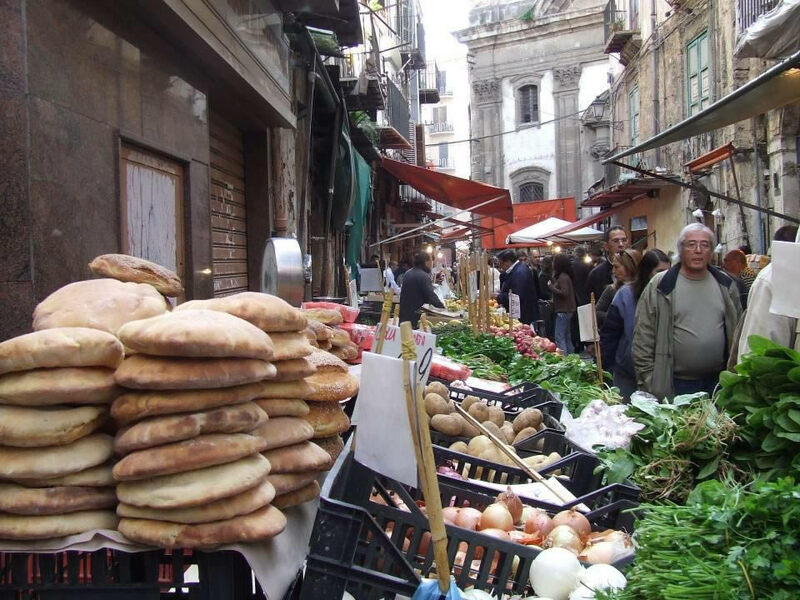 Within the allies that take you to Palermo Central Station in the Albergheria area, you will find the “Ballarò Market.” At this market, they mostly sell fruit and vegetables and for some time now, they also sell readymade dishes. It’s a bit bigger than the Vucciria market and recently took its name from a famous nationally broadcasted television program which deals with socio-political matters. The third historical market is the “Capo Market” which runs right along behind the Tribunal court all the way to the Cathedral. Its entrance is rather overwhelming since its actually one of the antique gates into the city: Carini Gate. Another historical market is the “Pulci Market.” Unlike the previously mentioned markets, this one isn’t a food market, rather, a used furniture and antique market. At this place, it’s easy to get a bargain. You can even find some one of a kind pieces that are can be altered upon request. It’s located in the “Papireto” area just a few hundred meters from our guesthouse and is open everyday until sunset, except on holidays.